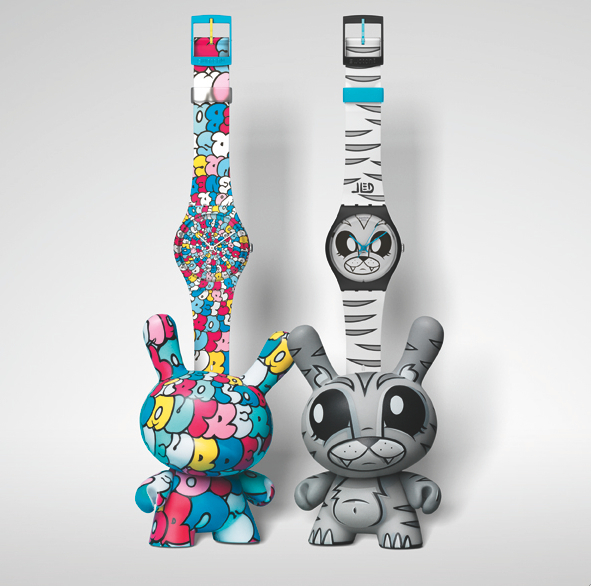 Swatch has teamed up with Kidrobot, an art-driven toy and lifestyle brand, to create Kidrobot for Swatch, a collection of eight Gents, each accompanied by a complimentary Dunny. 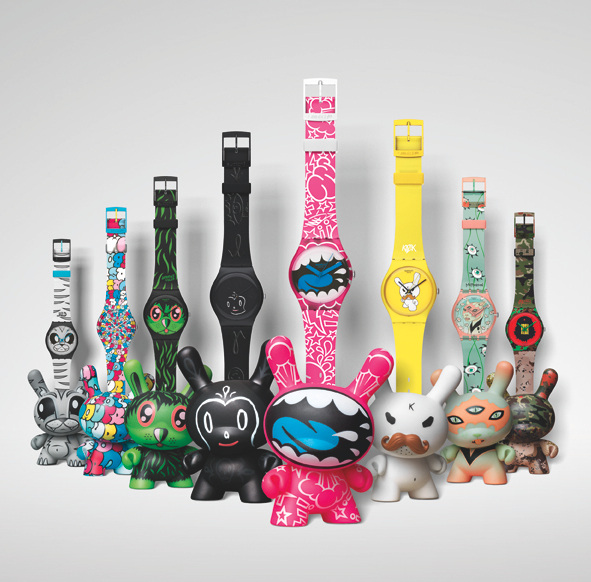 Dunny is Kidrobot’s iconic and highly collectible bunny-like vinyl toy, a customizable canvas for artists from widely varying backgrounds. 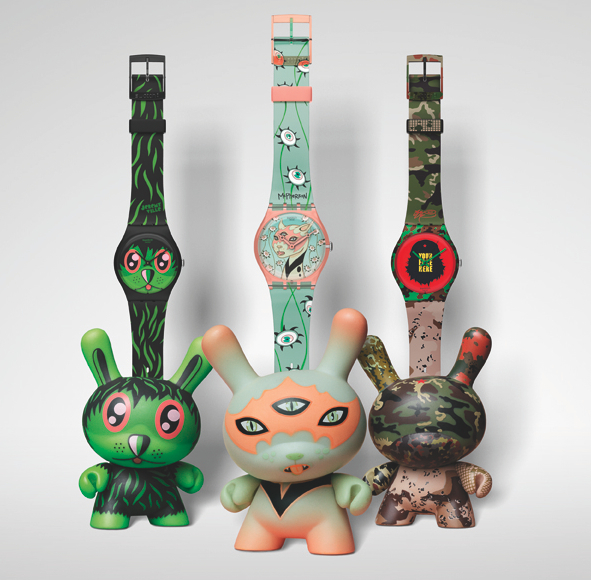 Gary Baseman, Jeremyville, Frank Kozik, Joe Ledbetter, MAD, Tara McPherson, SSUR, and Tilt are the eight extraordinary artists who have contributed to the new collection, each with a characteristic design for a Gent and its accompanying 3-inch (7.6 cm) Dunny. Where can I cop one of these?